Reviews of the Canon EF-M 22mm f/2 STM from around the web. Canon announced its EOS-M mirrorless camera in July of 2012, and the EF-M 22mm ƒ/2 STM was one of two lenses to be released with it. 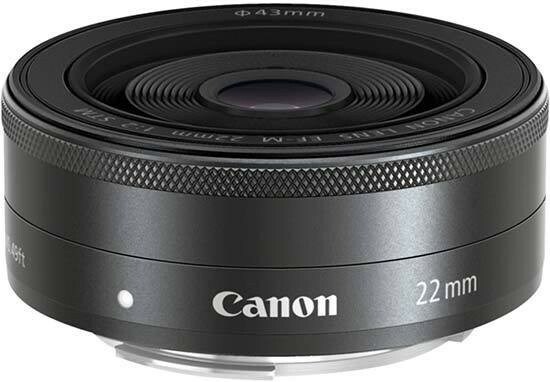 The Canon EF-M 22mm f/2 STM ($249.99 direct)$249.00 at Amazon is one of the two lenses that launched along with Canon's EOS M$489.00 at Focus Camera compact interchangeable lens camera. The EOS M uses an APS-C sensor, so the 22mm focal length delivers a 35mm equivalent field of view when compared to full-frame cameras. The lens doesn't feature optical stabilization, but its f/2 aperture will help in low-light shooting.